Users of Stib in Brussels continue to be generally satisfied with the public transport system, though no more so than in previous years. According to the results of the 2017 survey, Stib received a 7.1 out of 10 overall. That is exactly the same result as the 2016 survey, which itself was up only one-tenth of a point from 2015. A large majority of the 9,000 respondents – 84% – said that Stib’s services were either the same or better than in previous years. Services that got a thumbs up include arrival boards in metro stations and inside busses and trams. Low marks, meanwhile, went to feelings of safety in stations at night and connections with the Noctis night bus network. Passengers were also less than enthusiastic about the frequency of busses and trams on nights and weekends. 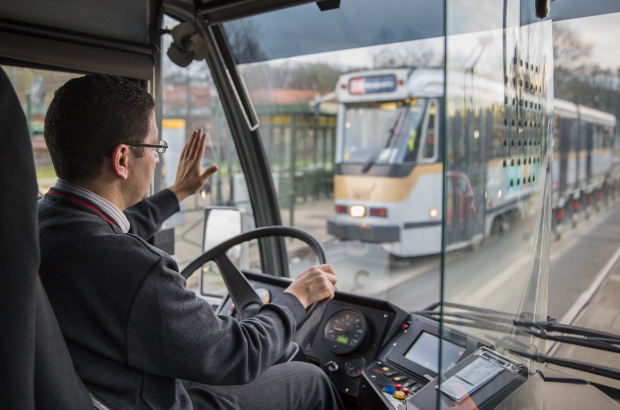 More than half of respondents – 53% – said that they prefer using public transport to their cars in Brussels. That’s an increase of 11% on 2011 results. It would be even better if they kept to some sort of timetable! I don't have a smart phone so rely on when the timetable says the bus should arrive. It is difficult to plan journeys when you have connections to catch.